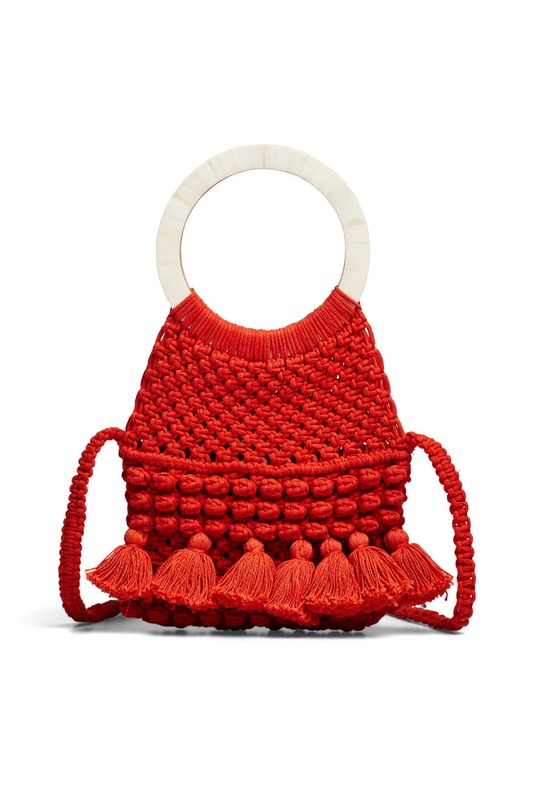 Swingy tassels and a woven design bring playful charm to this trend-right Cleobella bag. 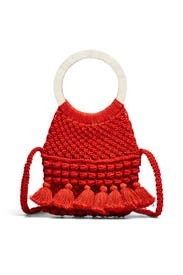 Salsa red woven fabric handbag with white shell top handles. 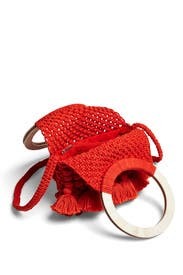 Optional crossbody strap and open interior. 5" handle drop. 9"H x 8"W x 2"D.